"Chelsea Hoff has dreamed of her own wine brand from childhood. Her parents, Susan and Duane Hoff, owners of Fantesca Estate & Winery, suspected Chelsea had a future in the wine industry when she began making concoctions of soap, shower gel, and lotions and storing them away so they could “age.” Luckily for Chelsea, her family moved from Minneapolis, Minnesota, to St. Helena, California, in 2007, as she started high school. 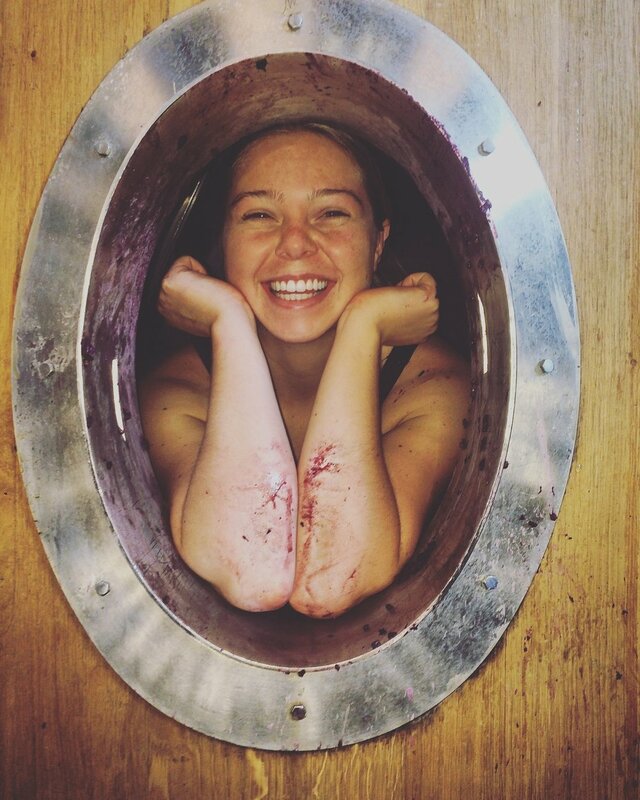 Chelsea’s time at UC Davis gave her opportunities to expand her winemaking knowledge. In a wine production class, her peers and professors selected her wines as the best blends in class in both white and red categories. She also landed an internship at an Italian winery and spent a summer abroad in Dijon, France. Upon graduation, she did a harvest internship at Château Smith Haut Lafitte outside of Bordeaux, France, followed up with another harvest internship in Australia’s Barossa Valley at Charles Melton Wines and, most recently, returned to California to work under Heidi Barrett at the family’s Fantesca Estate & Winery. She currently continues to work in the Napa Valley as a consulting assistant winemaker for a handful of clients. Immediately, she was interested in the winery, which her parents had founded in 2004. She immersed herself in winery life, even waking early to help with winemaking tasks. At St. Helena High School, Chelsea seized every opportunity to learn more about viticulture and enology. 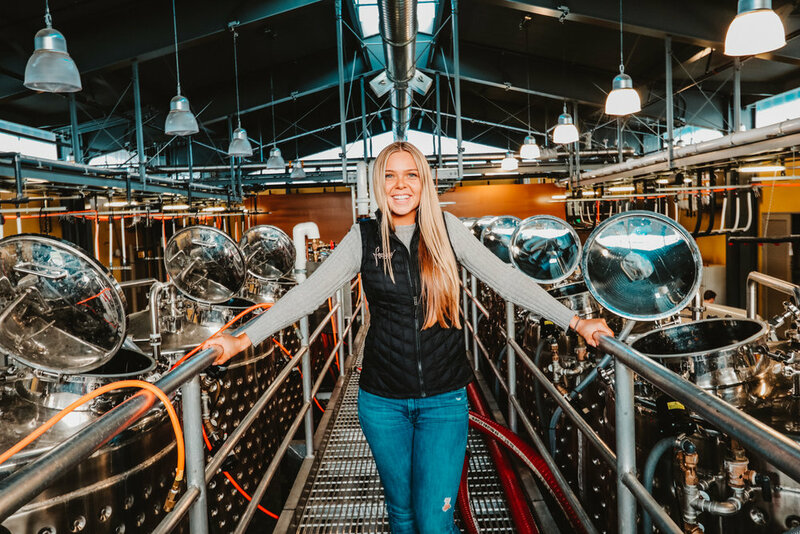 On a field trip to the University of California, Davis, with her viticulture class, Chelsea explored the Robert Mondavi Institute Winery there. She went home that day determined to earn the best grades possible so that she could one day attend UC Davis. Her dedication more than paid off when she was accepted not only to Davis but also to California Polytechnic State University, San Luis Obispo, and Cornell University, in New York. 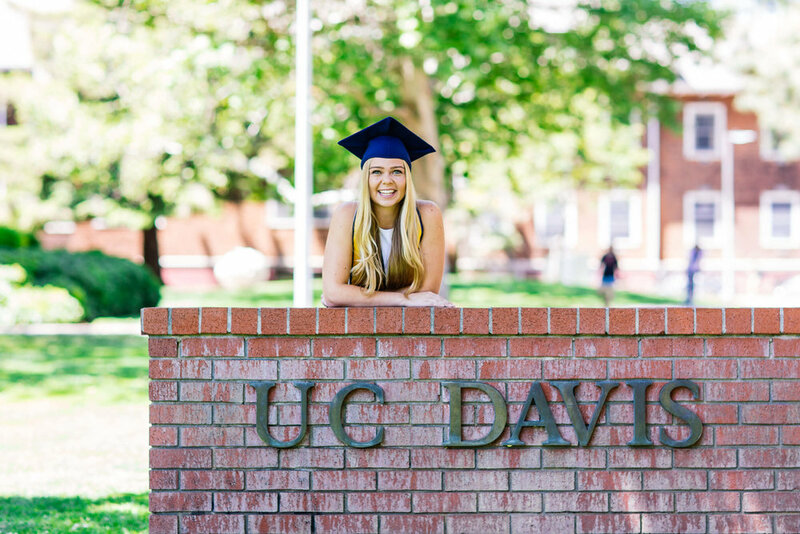 Since Chelsea knew she wanted to make wine in California, choosing UC Davis was an easy decision. With this whirlwind of global harvest work coming to a close, Chelsea is focusing on Fearless Wines, her first wine project under her creative control. With a desire to bring back the winemaking techniques she learned abroad, she started Fearless Wines in 2016. She created Fearless Wines for those who are passionate for their dreams and are fierce in their tenacity for life. Determined to bring unique grape varietals to light in Napa Valley and selling direct to consumer to insure her customers get the best value for their dime, Chelsea challenges the status quo. The inaugural vintage of 2017 Fearless Rosé sold out in less than 100 days. Her transition to her own wine brand mirrors her personal transition from nomadic globe-trotter to Napa Valley winemaker. But no matter where she is, one thing is for sure: She is setting her own course."